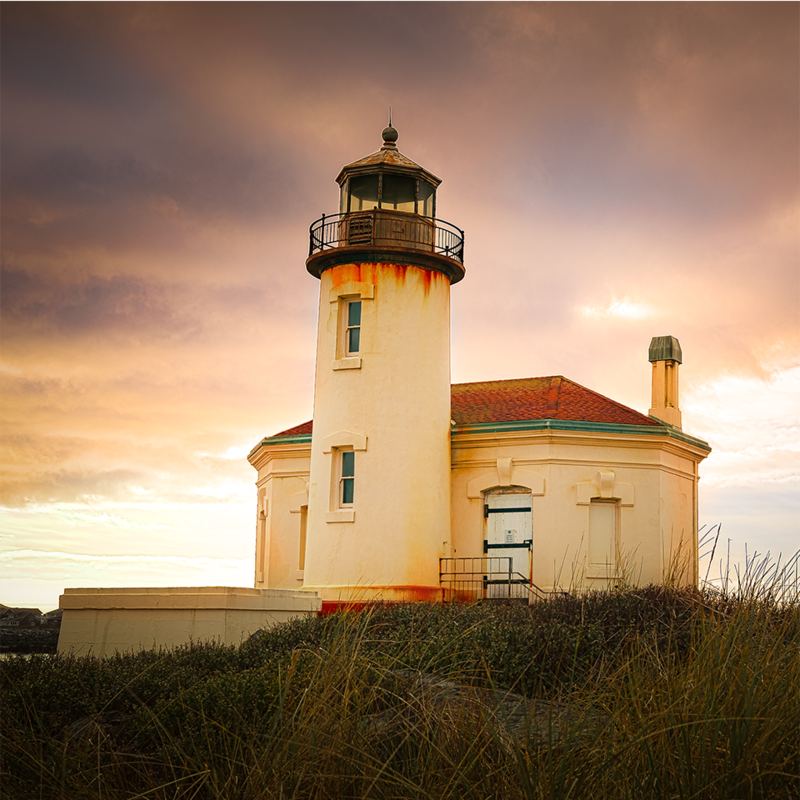 Coquille River Lighthouse is a lighthouse located near Bandon, OR, USA. This beautiful, yet dramatic print will not rust or fade. It is printed on aluminum metal with a sawtooth hanger. The metal print will appear to float about 3/4″ form the wall. Some fun facts from Wikipedia about the Coquille River Light House. Get it at a tremendous 65% off during our second lighthouse flash sale! The light was originally built with a Daboll trumpet for its foghorn, which was used as the light’s fog signal for several years. However, at certain times due to specific weather conditions, the sound of the trumpet would fail at sea, and in 1910 the trumpet was replaced by a more reliable fog siren. While mariners liked the new signal, many Bandon residents did not. The siren would eventually be removed along with the Fresnel lens after the light’s decommissioning. Over the next 37 years, the condition of the light deteriorated due to neglect and vandalism, until 1976, when its first major restoration began. However, by this time, the keepers quarters and other outbuildings had deteriorated past the point of repair, and were eventually removed. In 1991, a new solar powered light was installed in the tower.